Use color name and or number in chart in last picture. 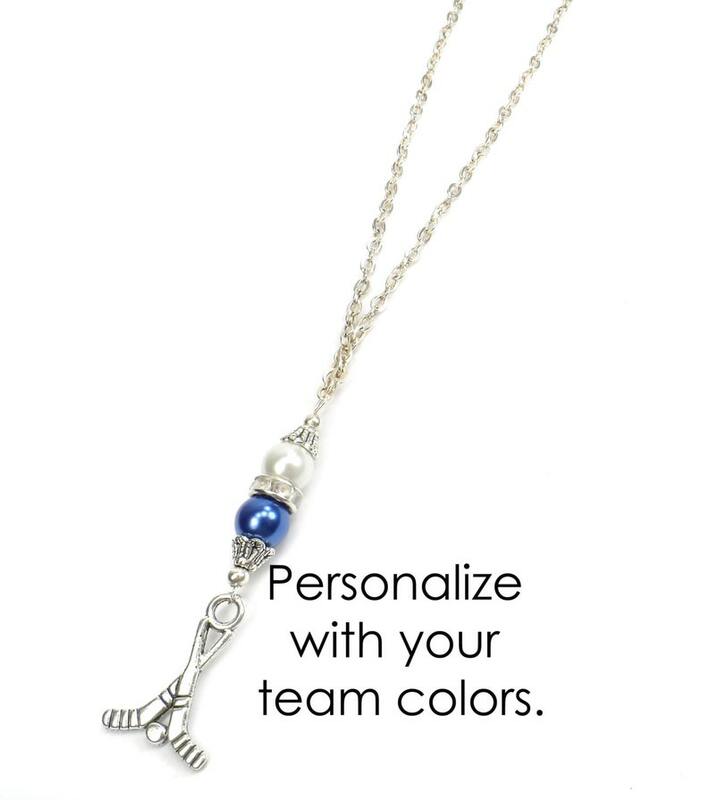 Sparkling necklace pendant to show off where your team loyalties lie! We have over 50 colors to choose from to make this match your local or pro team. 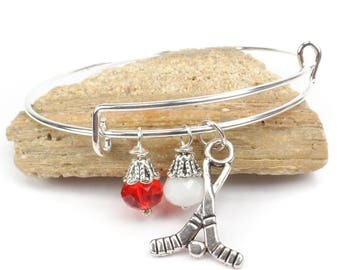 Our hockey jewelry makes a special gift for hockey Mom's, players or any hokey fan. Pendant drop is approximately 57mm long with 8mm crystals or 8mm glass pearls depending on style you choose along with silver plated accents and charms. Comes with your choice of either a 16", 18" or 24" chain length in drop down menu. If you prefer to purchase just the pendant contact us we are happy to make you a custom order. This is one of our made to order items. Please allow 2 days for item to be completed and marked as shipped. If you need something sooner contact us to see if rush orders are available. It depends on time of year and current orders. If we receive your order and there are no color selections we will place order on hold. We will contact you with email provided at check out. If we do not hear back from you after 5 days order will be cancelled and money refunded to you. Please make sure this is a email you check as this is only way we have of contacting you. The necklaces are amazing!! The team moms love them and they arrived so quickly! Thank you!! I love it and I know my sistet-in-law will definitely love it. Love the concept of the poem coinciding with beads.